August 11, 2018 - Witnesses in Djibouti say six people of Ethiopian origin have been killed in alleged revenge attacks over the past three days, according to Ethiopia Observer. The witnesses said the Ethiopians were killed in separate incidents, mostly during night time, by Djiboutians. Hundreds are also wounded, according to multiple witnesses. Ethiopian-owned shops were looted in Djibouti city yet police did not intervene, the Ethiopians said, though the Djiboutian government has condemned the violence. These reports have not been confirmed by other outlets so far. The violence has been triggered following attacks that left six Djiboutian nationals dead in the Ethiopian city of Dire Dawa on August 5. 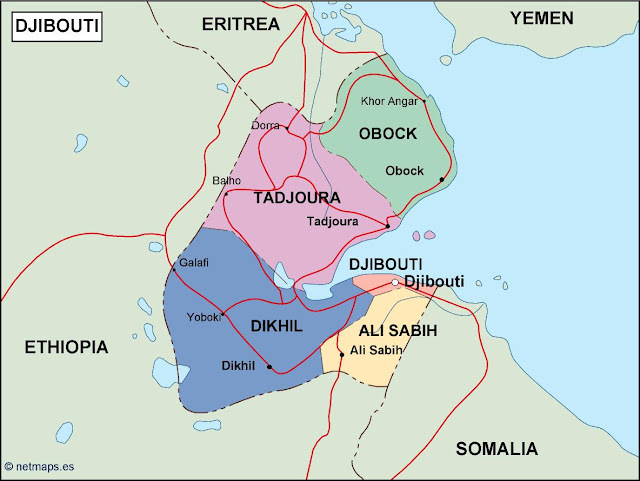 “The Ethiopians who live in the Somali neighbourhoods of Djibouti city and the suburbs of Balbala have fled their homes and are now sheltered in Arhiba, an area inhabited by the Afars,” an Ethiopian businessman who asked not to be named told Ethiopia Observer. Thousands of Ethiopians, most of them Oromo ethnic groups are sheltered in makeshift camps at Arhiba fearing for their lives, the witnesses said. Oromo Media Network (OMN) showed footages of Oromo people being supported at Arhiba. The Ethiopians in Djibouti accuse of their embassy for inaction, and they say they are only getting assistance from the International Organization for Migration (IOM).